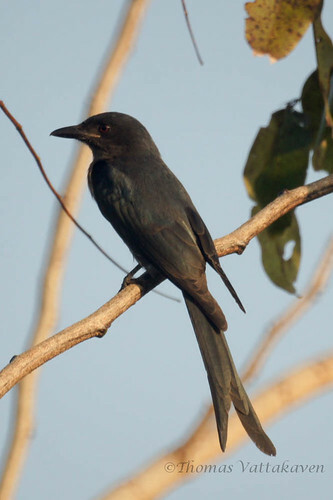 The Ashy Drongo (Dicrurus leucophaeus) is widely distributed in India and South Asia. 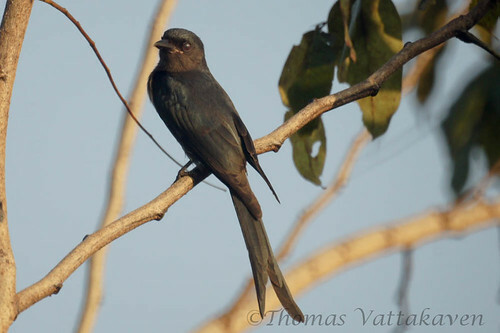 It is a smaller bird than most other drongos and has a greyish body with reddish eyes and a deeply forked tail. Some subspecies have white markings on the head. 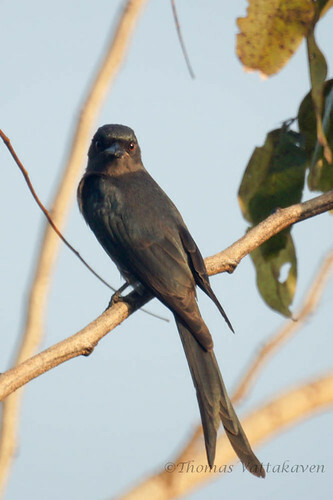 It is very similar to the Black Drongo, but it lacks the rictal spot at the base of its beak. The tail is also longer and less splayed. The breeding season is from May to June. The nest is a loose cup in a tree, in which 3-4 eggs are laid. Awesome photos of the birds. Well done!